Combine powerful local research tools including local Palm Springs Real Estate listings updated every 15 minutes with a strong customer focused human connection and what do you get? 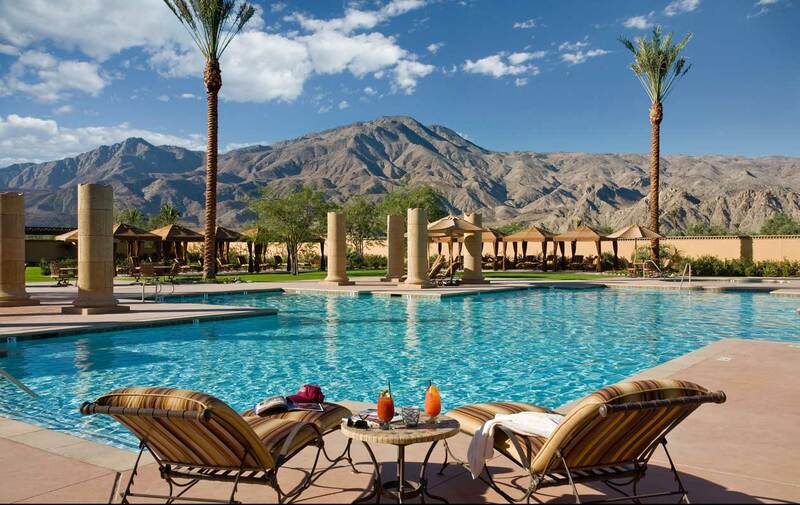 More time at the pool or Palm Springs area golf courses with your family and friends! 5 Star Rating! "Was great and professional and friendly through out the selling and buying process. We got what we needed on the sale of our house and buying of our new house. Also great in getting the vendors we needed in completing the process, Would highly recommend Sheri, Ed, Beverly and the rest of the team for their first class service. Thanks from Glenn and Sharon"
"Sheri: You should know that we had a very positive experience with Ed Borquez. He was not only knowledgeable and attentive, but VERY patient as well. Sheri Dettman & Associates is firmly entrenched and knowledgeable about the area. We would definitely recommend them to others. When searching for a realtor, you're looking for knowledge, professionalism, attention to detail, and a good relationship. We found all of these assets with Ed Borquez and Sheri Dettman & Associates. Our realtor, Ed Borquez, was able to share information and analysis that helped us make more informed decisions and better understand our position. He knew about the latest events, decisions and topics being discussed and evaluated within Legacy Villas, and provided good counsel on what we should/should not be concerned about. Ed became our eyes and ears in Legacy Villas and made remote househunting much easier. We also appreciated that you have a process. We were told what we should expect in terms of next steps, and were provided resources and contact lists to assist us. And, we are truly loving our La Quinta residence...just can't find enough time to be there!" "Dear Sheri, Some months have passed since we had the fortune to be helped by you to find a home in the Palm Desert area. We were a bit different from other buyers since it was the first time we ever purchased a property in the USA and did know nothing about the procedure and the way things go in such a situation. Your team was in charge, fought like a lioness for our interests and nothing was too difficult or problematic in order to satisfy our list of wishes. Well informed and extremely professional, explained the pros and cons of all possible properties we chose, leaving us the entire freedom to decide, not a single moment pushing or chasing for a quick decision. Getting such a good feeling about all things connected to a property purchase in that region, plus the very pleasant and helpful style all of you presented, our choice was a good and happy one. We are extremly satisfied about our home in the desert and we cannot think of any way you could have done a better job. We shall and did also, recommend other people to contact you in case they would like to be successful in finding a new home in Palm Springs area. We would be happy to give further recommendations at any time. Thank you once more and look forward to see you soon." "We would absolutely recommend Ed Borquez and your office! We love Ed. His patience, knowledge and straightforward manner were all impressive . We found everyone helpful. No improvements I can think of. Absolutely-you can use us as a reference. You are awesome." "Sheri, Your team did a great job for me...highest recommendation! Would use your agency again anytime." "Sheri, It was great working with Ed throughout this entire process. I'd give him an A+, not sure what more I could have expected from him. The house I ended up buying was one he suggested to me, despite me spending several hours on Zillow on my own making a list for him to review. Appreciate all the good work." "Sheri, We had a great experience with your team. Did not hesitate to meet me whenever I was able to fly back to the desert area from our home here in Oakbrook Terrace, IL. Your team made my search for our new home so much easier than I could have imagined. Represented us well in negotiating price and in requesting credit against cost. Has continued to be of great service to us by giving us some great references for future upgrades to our new home. We were very lucky to have your team! Many Thanks." “Dear Sheri, As we’ve told you many times, we would not have seriously considered purchasing a home if your team hadn’t been our agent. When we first spoke with your team we told you that we were ‘just looking’ and that we had really high expectations of a home and doubted that what we were looking for existed in our price range. Your team reassured us that we could find a property yet didn’t apply any pressure to us whatsoever. You introduced us to your preferred method of searching through the myriad of properties available and when we met and narrowed down the search to 5-6 homes, we felt that we were actually going to find something. And lo and behold my favorite online listing turned into our forever vacation home. Being Canadian and new to the U.S. real estate world we found the process to be very confusing but your team was very helpful and guided us through every aspect of the sales transaction and MORE! We actually feel that we could do it all over again with your team as our guide. Nothing to improve on! It was a great experience." "Sheri, Susan and I want to thank you for very efficiently selling our home in the Palms in a 6 month period of time when it had been on the market for over 2 years with no firm offers. We found you and your staff to be very professional and the way you kept us aware of each showing with feedback made us feel you were really on top of things. We were very pleased with the process your firm carried out and will be happy to provide references regarding our experience with your firm should the need arise." "Hi Sheri, Thank you so much with our recent sale in La Quinta! When you helped us purchase our condo years ago the experience was nothing but exceptional and our experience now with the sale was the same. You always kept me informed every step of the way. Ed as usual was great. Beverly went above and beyond my expectations in numerous matters concerning the sale. I would absolutely recommend Sheri and her staff to anyone either purchasing or selling property in the desert. As a Canadian there were so many questions I had in regards to the selling process but Sheri and her staff made it seem effortless with their knowledge and guidance in every aspect. Again I would not hesitate to highly recommendSheri Dettman and her staff to anyone looking to either purchase or sell property in the desert. I would be more than happy to supply a reference for you! Thank you again Sheri!" by Bob Venus, Surrey, B.C. "Thanks to you all for all your help and making our time in the Desert very enjoyable for the last 7 years, Gabe you were invaluable as not only being able to generate income but also going above and beyond when we were not able to manage issues ourselves. And to you and your team Sheri, you guys rock!! " by Gary Notembomer, Delta, B.C. "Good Morning, We had a wonderful experience. Your results are your best recommendation. We had a steady stream of people coming to look. You can’t sell a home if no one comes to see it. Sheri also was able to talk a potential buyer out of cancelling the sale and brought it to closure. That was amazing." "Sheri, It was a pleasure working with you and we appreciate everything you did to help us sell our house. If/when we decide to sell our other home you will be hearing from us again–you're the best!!!" "Dear Sheri, Gary and I were very impressed with the efficiency and professionalism of your team. From the first day we met, until the day you sold our house, you gave us insightful advice, and excellent service in all areas. It's been a pleasure to have worked with all of you." A HUGE thank you to our FANTASTIC Realtor and friend, Samantha Anderson, she was so great from beginning to end of the entire process. Being a first time home buyer, she made me feel comfortable, while at the same time being super informative and answering our requests for viewings at an incredible pace. If any of my friends or family are looking at the market and are in need of an amazing realtor don't hesitate to contact her. Again, thank you Sam, it was truly great working with you! Hi Sheri, Adrienne and I were very pleased with your brokerage firm and Ed Borquez as the agent . Ed had a good knowledge of the market . He was always on time and got back with information when he said he would. He helped negotiate a price and saved us some money. Ed explained the closing process and walked us through the system that we were not familiar with. I don't have anything to add in what I could suggest for improvements. Ed - We want to thank you for your excellent support, guidance and knowledge. We learned a lot about the Palm Desert market and our own thoughts while pursuing this home for our future. You always had great insight and patience throughout this process. Hopefully from this point forward it’s relatively smooth to the finish line. Thank you!!! Would you recommend us to others looking to buy or sell a Palm Springs area home? Absolutely. What did you like best about our services during your transaction? The communication and efficiency. Is there anything you feel we can improve on? Nothing. May I use you as a reference? Always. I am your biggest cheerleader! I would like to thank Sheri, Ed, Beverly and the rest of her team for making the selling and buying of our homes a pleasant experience. They were always there to answer and fix any questions or problems that rose up during the process and like they promised found us a home and area that we are very happy with at a price ( both selling and buying ) that could not be beat. Sheri and Ed were very knowledgeable about pricing and I got a great price for my houses. I couldn’t have asked for more. Thanks again for all your help. by Glenn, Sharon & Justin Burbidge, Abbotsford B.C.